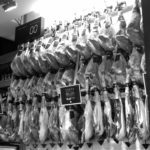 In a world that is dominated by supermarkets, shopping malls, outlet centers and online shopping – getting back to basics can be a fun trip through the past. 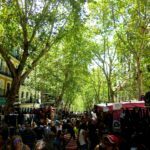 From farmers markets to flea markets, Madrid is covered in these wonderful bazaars to explore and shop the old fashioned way. 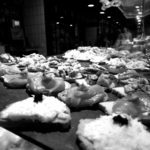 Check out some of Madrid’s most popular and unique markets. 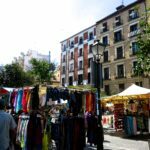 San Miguel is one of Madrid’s most popular markets for tourists and locals alike! 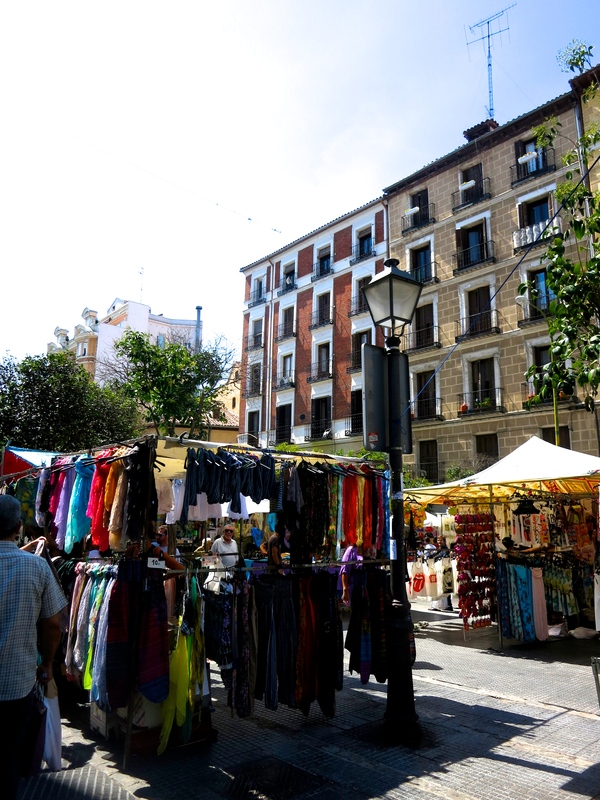 It is located just off of Calle Mayor – a 1 minute walk west of Plaza Mayor. 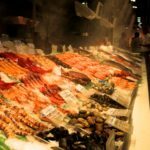 It was named after the original chrurch that occupied the property called San Miguel do los Octoes, and operated as an open air fish market in 1835. 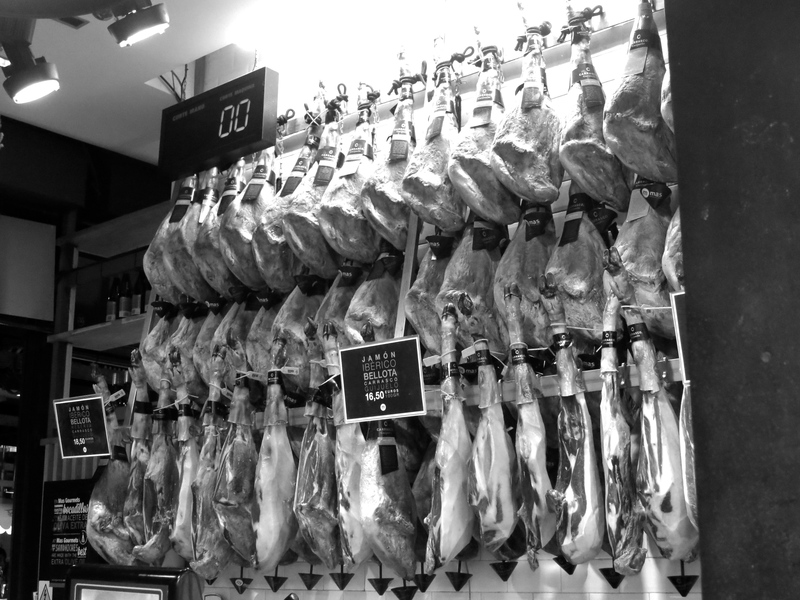 By 1911 it was coverted into the closed market that you see today. 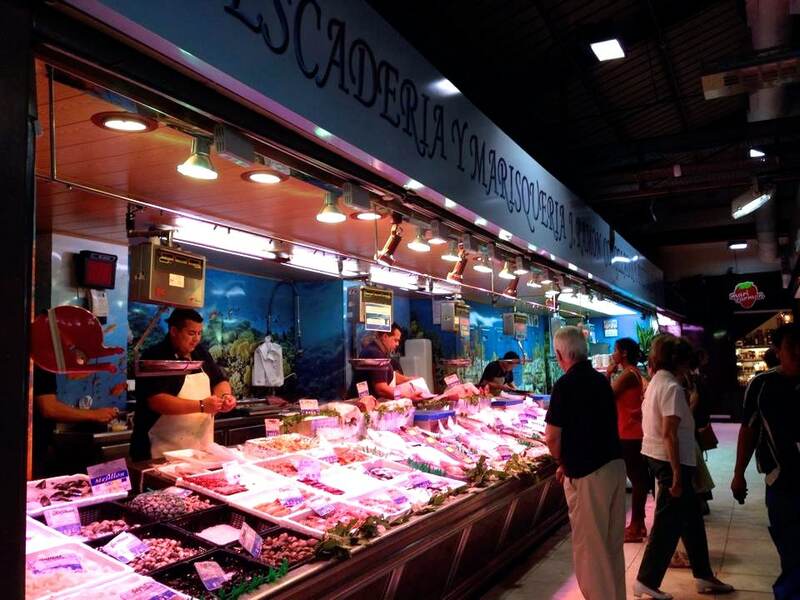 Although San Miguel is slightly on the expensive side, its 33 stalls offer a variety of fresh produce, fish and meats. 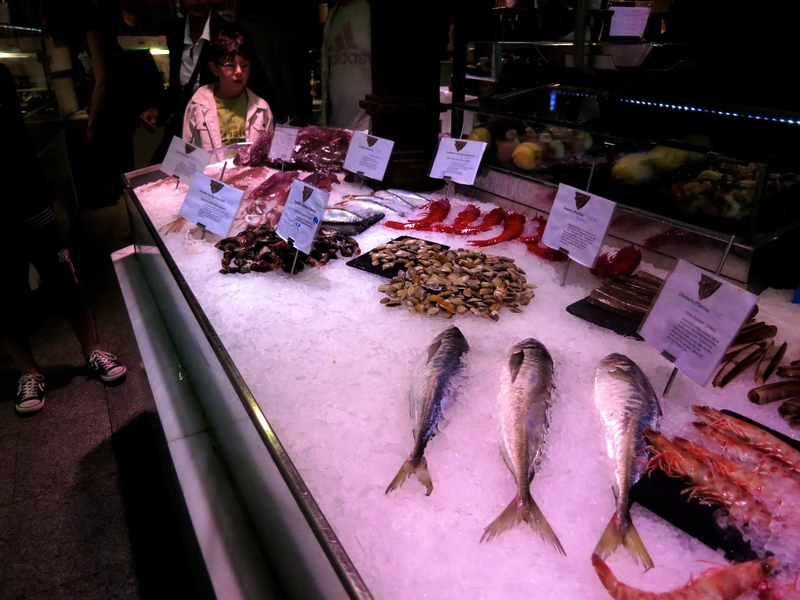 As well as some prepared cuisine – the upscale design of the market makes for a food lovers paradise. 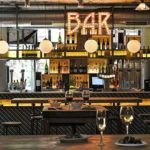 If you are interested in learning about wine, Mercado San Miguel is the place to go, with mini bodegas and wine bars scattered throughout. 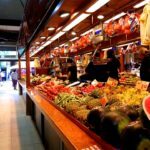 The best times to go to the market is late in the evening and early morning to avoid the hoards of tourists that pass through each day. 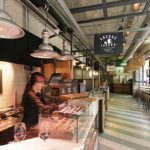 Food market by day, youth hotspot by night. 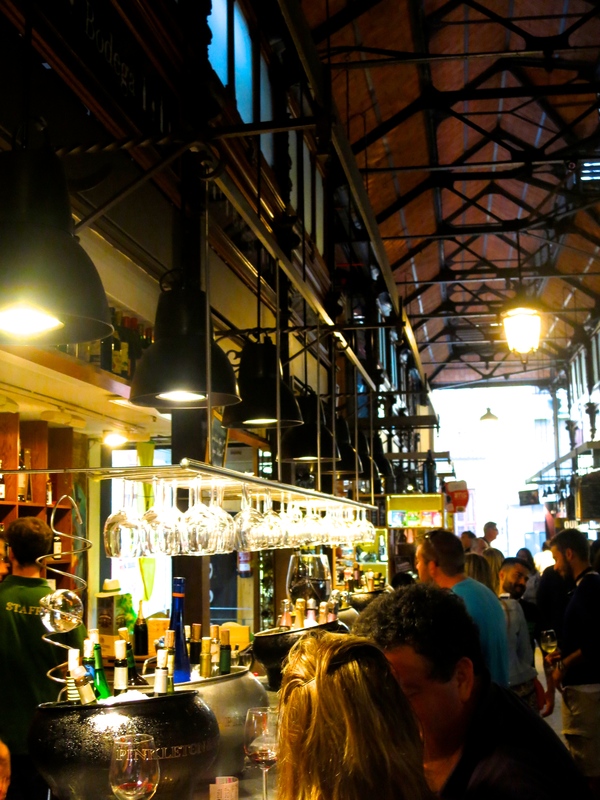 Mercado Ildefonso is a super hip market in Malasana located right around the corner from Plaza de San IIdefonso. 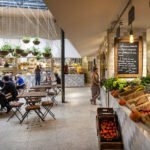 The market a great mixture of fresh and prepared foods as well as a beautiful roof terrace and gastro bars. 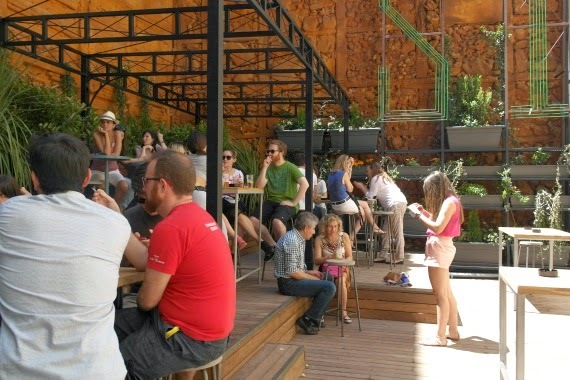 Its got a very bohemian vibe to it, which attracts a really fun and social crowd during all hours of the day. 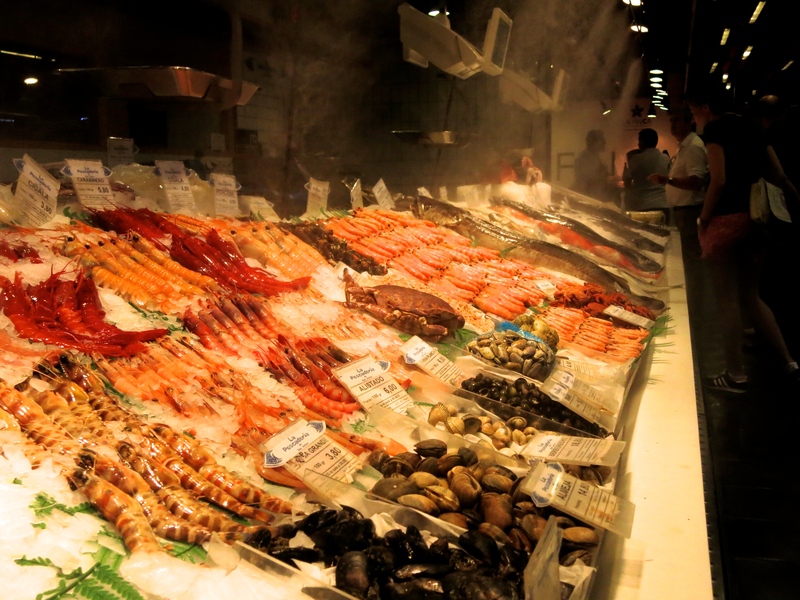 It gets crowded fast at night, as many people make the market their first stop on a night out. 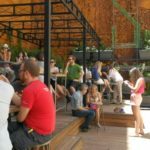 The market is set up with many places to sit and relax while enjoying your food, which it makes it more of a hangout than a shopping market. 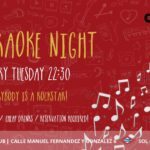 If you are ever looking for a plans for a night out, take a trip to Malasana and start out with Ildefonso! 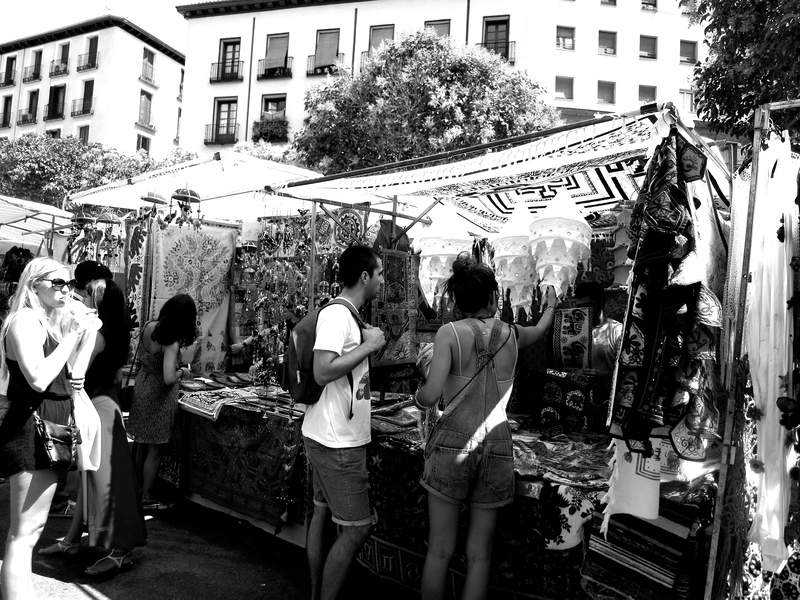 El Rastro is Spains largest open air flea market. 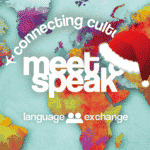 Located in the heart of La Latina and open every Sunday morning from 10:00am-3:00pm. 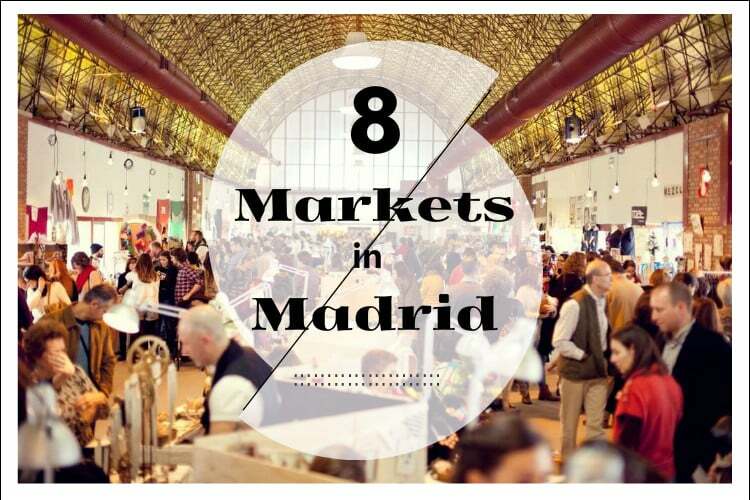 Unlike the other markets on this list, El Rastro is not a food market. 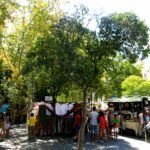 But, instead it offers a wide range of antiques, clothing (both new and used) and many other trinkets and doodads. 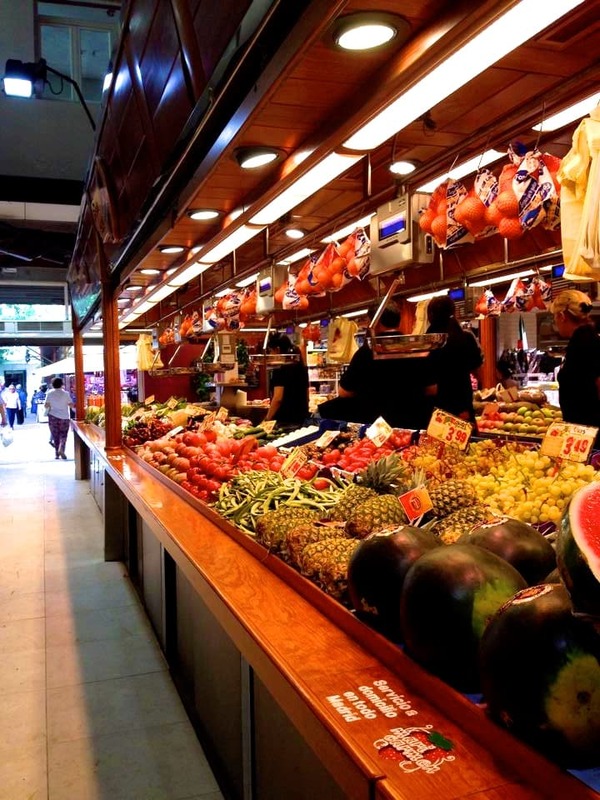 The market makes up for its lack in fresh produce by being located within a neighbourhood with some of the best and most authentic tapas bars in the city! 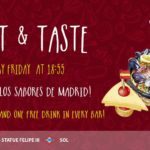 A local tradition at Rastro is to gather with friends, eat some food and have some drinks – don’t forget about the dancing and singing too! 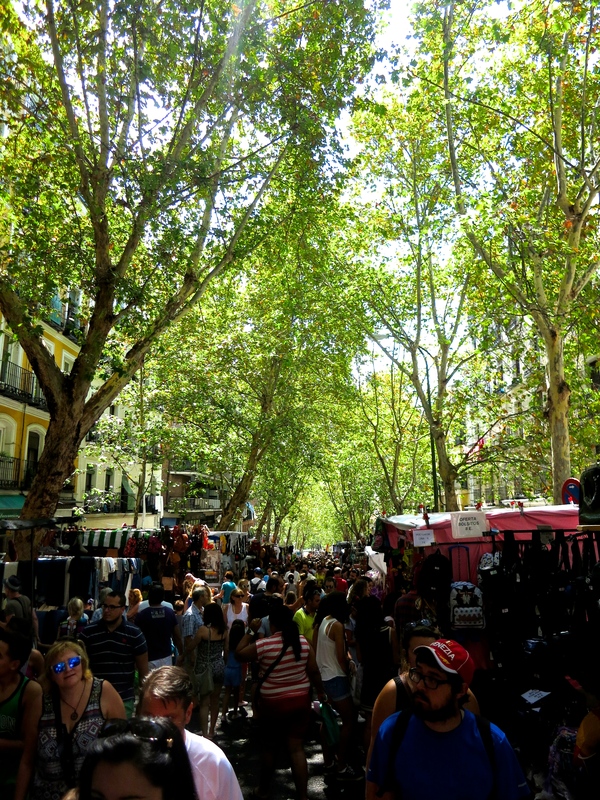 You can’t be in Madrid and not experience El Rastro. 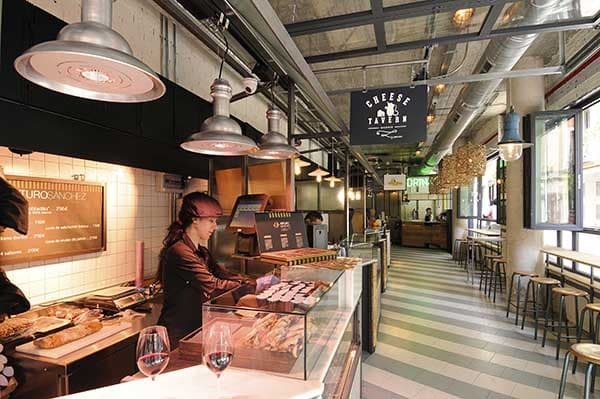 Mercado San Antón is a very modern food market situated in Madrids most vibrant neighbourhood – Chueca. 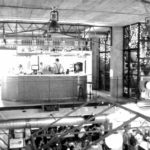 The market is divided into 3 different levels, all with different functions. 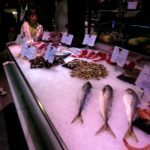 The main floor is for those looking to shop for fresh produce, fish and meats – though the price is not low, you can be assured that the food is of good quality, sold to you by local merchants. 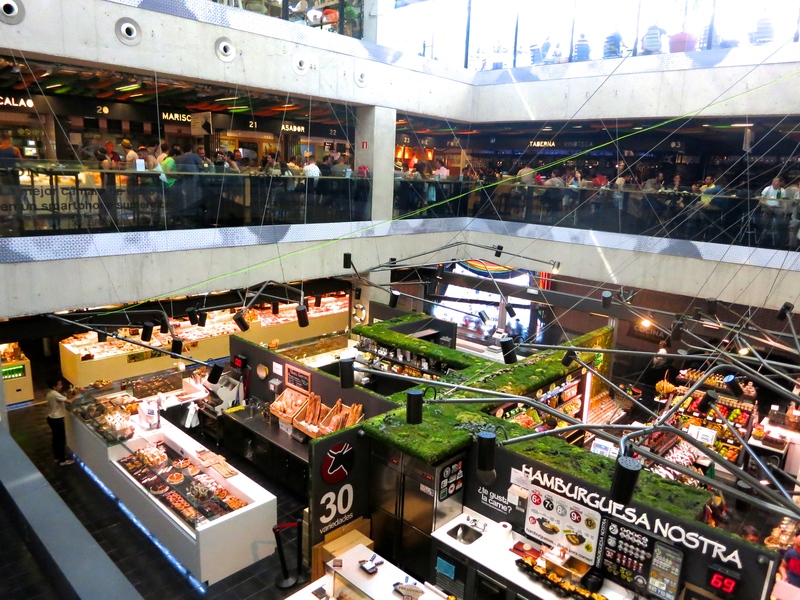 The second floor is layed out with various food vendors – from Asian to Italian to typical Spanish tapas. 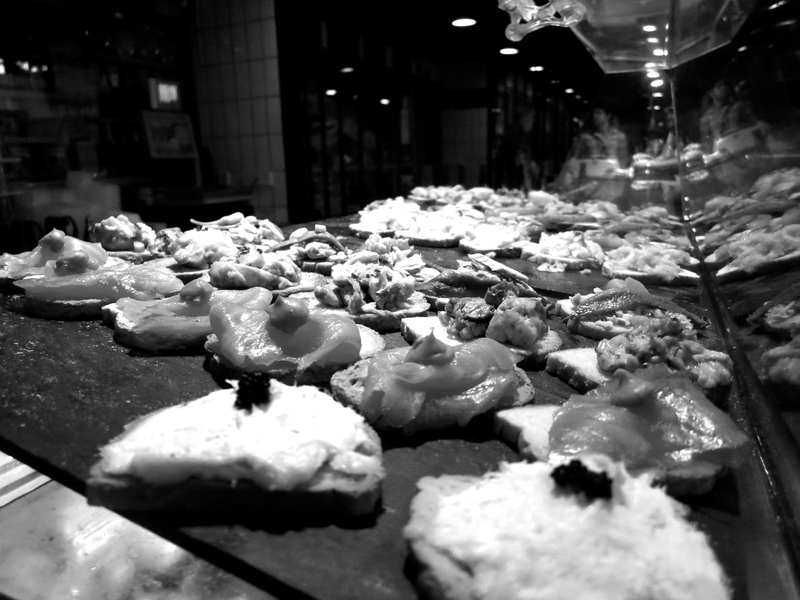 People will gather and chat while they snack on these delicious foods. 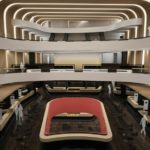 The third and top floor is where the real fun begins! 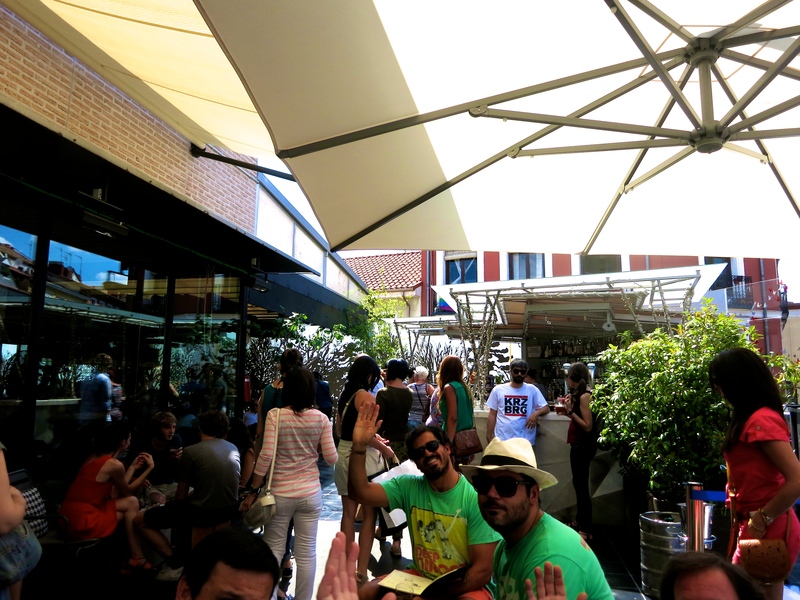 The rooftop terrace at San Anton is usually packed with fun loving locals getting together for a drink…or two. 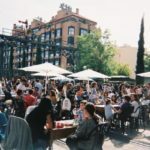 Its got a great atmosphere with a very alternative vibe – Chueca is home to many young, free spirited people and it is also known as the central hub for the LGBT community. 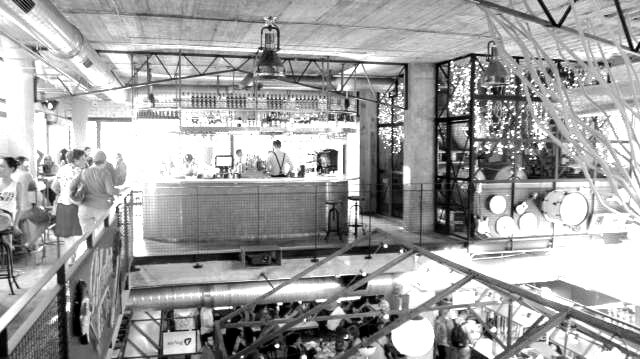 with such a popular atmosphere, comfy seating and good music, it gets crowed fast! 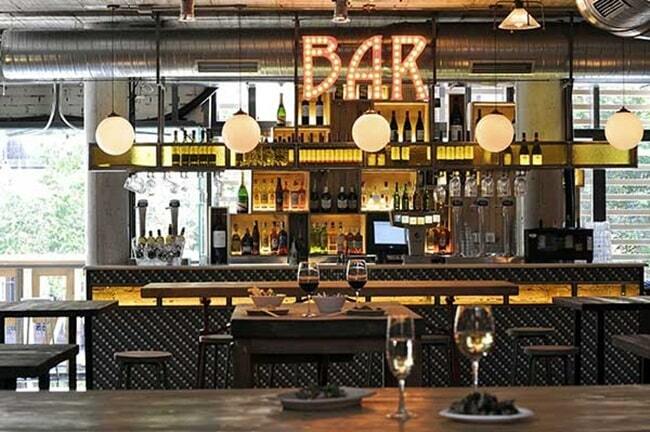 Madrid’s barrio Salamanca is a great neighbourhood. 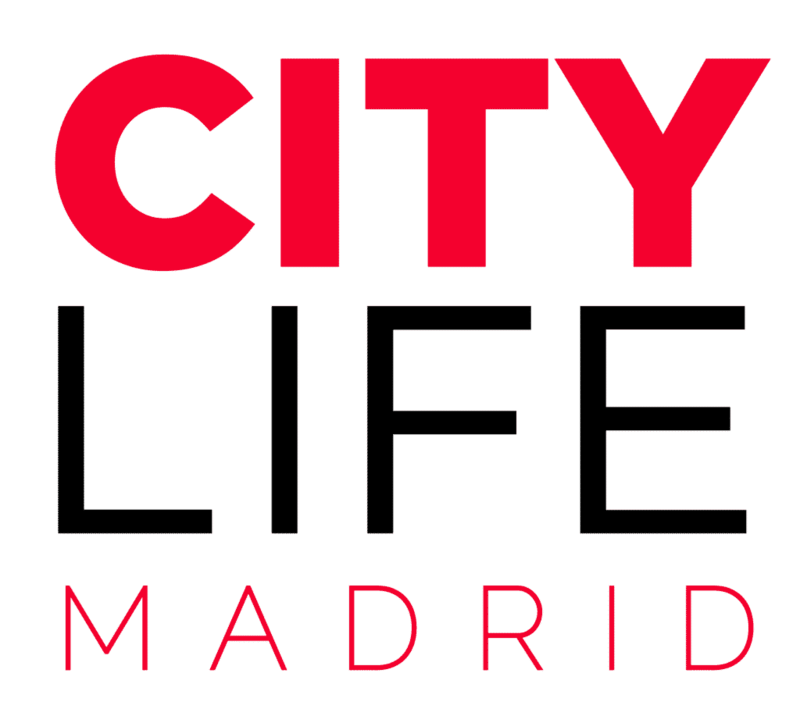 With designer clothing stores, expensive flats and high-end businesses, it is very exclusive. 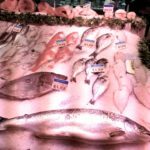 So, naturally a market set within Salamnca would be no different! 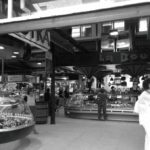 Mercado de la Paz is an indoor/outdoor market that is tucked away within the barrio – I actually walked right by it when I was went to do some research for this post – and is mostly visited by local familys. 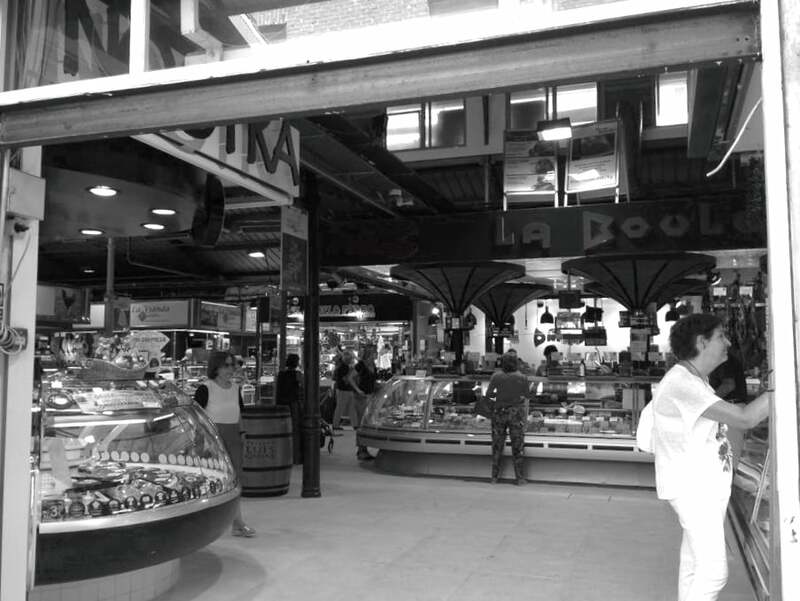 There is a great sense of community at la Paz, as families stop to chat with all of the merchants as they make their way through the stalls. 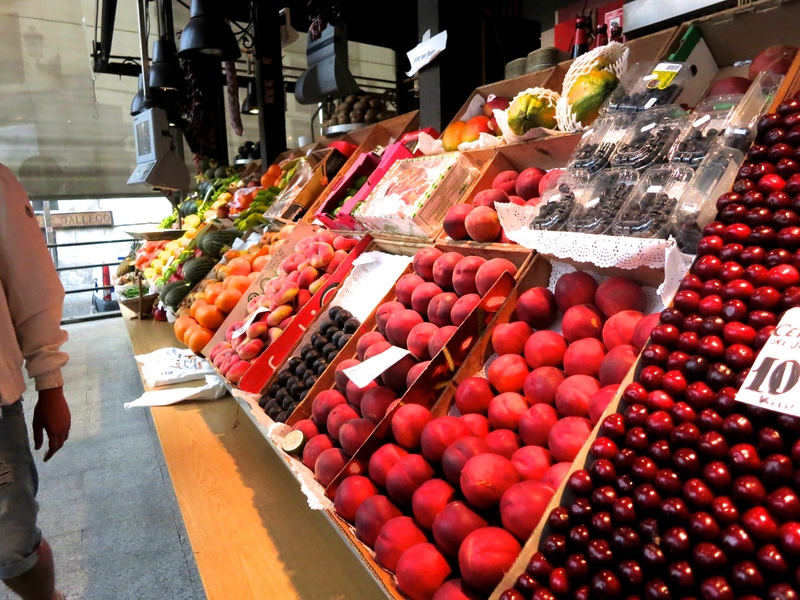 The set up is similar to a typical Supermarket, and most people visit to stock up on fresh products. 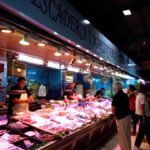 Though the atmosphere of la Paz may not be as exciting as the other markets in the city, the food is incredible! 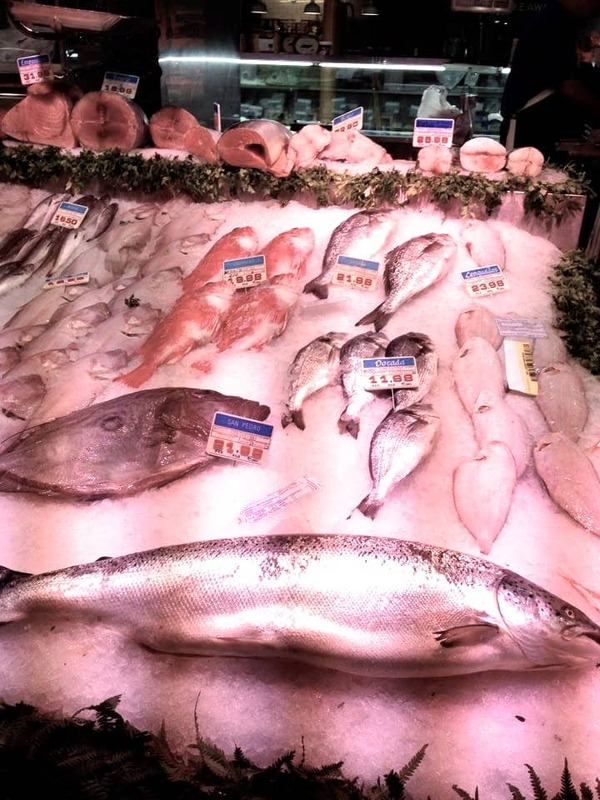 The market is known for its sea food and its fresh produce and meats are fresh from local merchants. 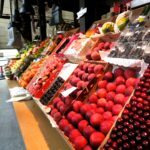 If you find yourself shopping or having lunch in Salamanca make sure you stop by Mercado de la Paz for some fresh fruit or a coffee! 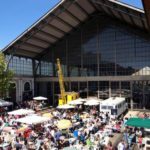 Another large market in Madrid, Motores is held inside the Museo de ferrocarril every second weekend of every month. 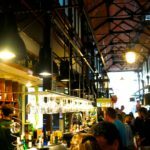 Located within a 19th century railway station, this beautiful vintage market also features some hand made clothing, live music and food. 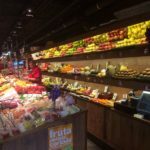 The unique location and the items for sale really make for a perfect thrift hunt for all those people who just love to get lost in the possibilites of artisan products! 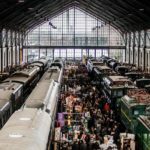 The sale stalls themselves are placed within the old trains of the museum and along the platforms where the people of Madrid once went on with their everyday lives! 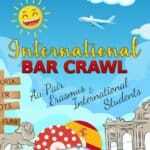 Motores is open from 11:00-22:00 and it’s free to enter! 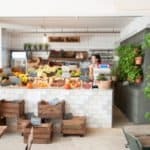 Your search for the perfect organic food market is over: look no further than this market-turned-restaurant in the heart of Chueca. 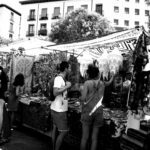 This eco-conscious mercado sells only 100% organic products which can be hard to find in Madrid. 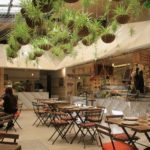 Come be enchanted by the hanging plants and stay for the delicious food. 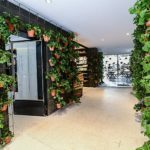 You can even buy eco-friendly products to take home with you like tea, nuts, and cosmetics. 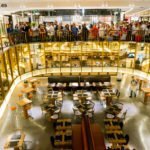 A completely new and entirely unique dining experience in Madrid, Platea is also the most expensive option on the list. 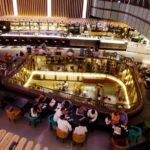 This gourmet dining experience was a movie theater but has been renovated to offer patrons a glamorous atmosphere inspired by Hollywood’s golden era. 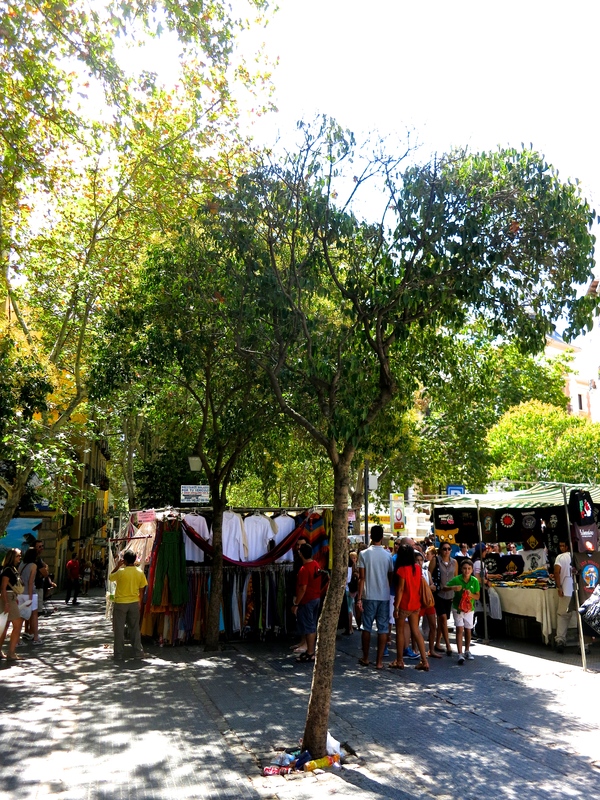 This market offers restaurants, stores, bars, restaurants, bakeries, and lounges- don’t miss it! 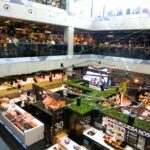 Love Mercado San Antón and Mercado de San Miguel! 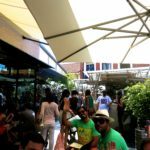 Whenever we have people visit us we always take them to a Mercado – such a fun way to spend an afternoon!